I've had this little tube of goodness for a few months now, and I've been using it almost everyday. I've not used any Clinique products before and was so glad I got to try this. Once this gel-like-cream absorbed into the skin, my skin felt like silk. I have incredibly dry skin, especially on my nose, but I also have an oily t-zone. This didn't leave my face feeling oily at all. 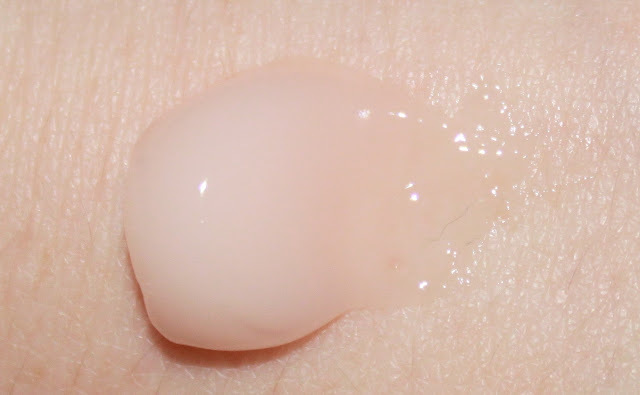 The gel felt light on my skin and left no residue, which is something I really love about this moisturiser. My skin loved me for using this. I use this a lot before applying make up as it gives me a smooth service to apply my foundation. 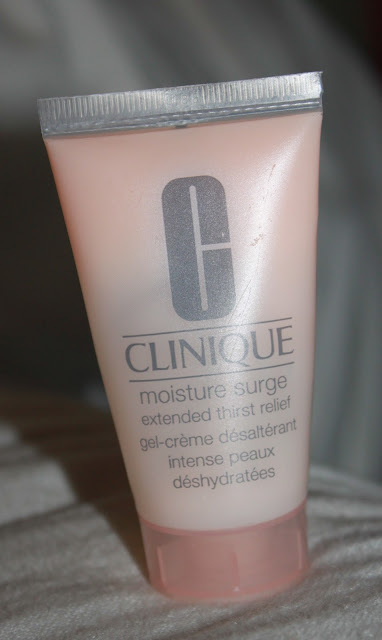 Unfortunately this is only a sample size with 30mls, you can purchase the full size 50mls at £32.00 here http://www.clinique.co.uk/product/8388/5089/Skin-Care/hydration/Moisture-Surge-Extended-Thirst-Relief/All-Skin-Types/index.tmpl. I gave this little product a 9/10. It seriously does wonders. The only downside I have is the price. As student I can't afford to splurge like this. But if you have the money and want something good for your skin, I would recommend this. Let me know if you've had the pleasure in trying this in the comments below! Thanks for reading!